India is expected to roll out a $500 million line of credit for Bangladesh when Prime Minister Sheikh Hasina visits New Delhi on April 7. Dhaka will use the money to buy spares for its MiG-29S fighters, and explore purchasing MiG-35 aircraft. In a sign of growing cooperation between New Delhi, Dhaka and Moscow, India will finance Bangladesh’s purchase of Russian weapons and spare parts, sources close to the situation told RIR on April 6. India will extend a line of credit of $500 million to Bangladesh for the purchases of military equipment including spare parts for Dhaka’s MiG-29S fighters. 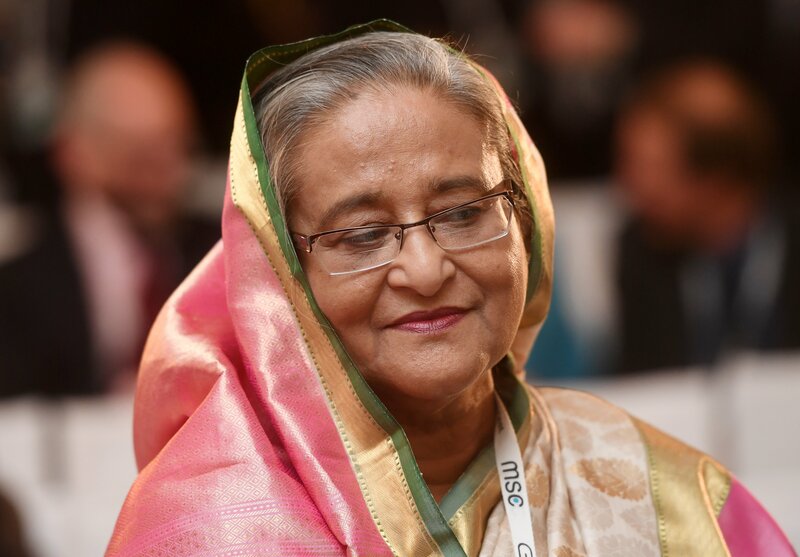 Bangladeshi Prime Minister Sheikh Hasina will arrive in New Delhi on a three-day visit on April 7. She has rejected a proposal from India to sign a 25-year defence cooperation pact, the sources said. “Some opposition elements already accuse her of being a puppet of India and such an agreement would have been used to mobilise the opposition,” a source said. “The offer for finance is similar to an arrangement that India and Russia have with Afghanistan.” India finances Russian arms sales to Afghanistan under a tripartite agreement. The sources said, India’s line of credit could also be used for the purchase of Russian MiG-35 fighters. In March 2017, the Centre for Analysis of World Arms Trade (CAWAT) said the MiG-35 was the favourite to win the recently announced tender for 8 multi-role fighters for the Bangladesh Air Force. “Bangladesh has a defence budget of just $2.8 billion and the MiG-35 is something the country can afford,” a source said. Dhaka’s main supplier of weapons purchase is China, although the country heavilies relies on Russian weapons. It uses Russian-made BTR tanks, MiG aircraft and Mi-17 helicopters. Bangladesh is also pondering over the purchase of coastal missile defence system manufactured by Morinformsystem-Agat. Given the fact that Bangladesh enjoys a good relationship with both its neighbours, India and Myanmar, it is unlikely to hike up its defence budget. “The biggest concern at the moment is the security threat posed by pirates and Rohingya refugees, some of whom could be Islamist radicals sponsored by Pakistan,” a source added.